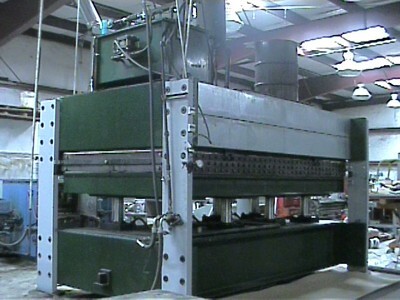 SDM Technology began building composite presses and composite panels in 1982. The owner, Dean Maples, became directly involved in honeycomb composites in 1967 with Zero Bonded Structures as their Lab Manager. Shortly thereafter, Dean was promoted to Materials and Process Manager and was responsible for all panel and autoclave processing. Now with over 35 years of composite manufacturing experience in a variety of composite firms including General Atomics and Pratt & Whitney, Dean has key understanding of difficult process requirements for various thermosets and thermoforms. SDM Technology has benefitted from this experience. SDM presently processes a large variety of composite structures. We built our first composite press in 1982 and have introduced the LAMINATOR SERIES of presses in 1997. Our Laminator Series presses have delivered the highest performing phenolic faced honeycomb panels on the market. This equipment with its MAX RAMP feature offers unequaled composite panel and laminate performance. Improved balsa panel processing technology to eliminate voided areas in aircraft floor boards. Since 1982 supplied production presses to panel manufacturers and introduced our LAMINATOR SERIES of composite presses in 1997. Introduced dual loader LAMINATOR SERIES Press in early 2000. This flexible design allows 5 Ft. x 24 Ft. or longer panels to be manufactured.